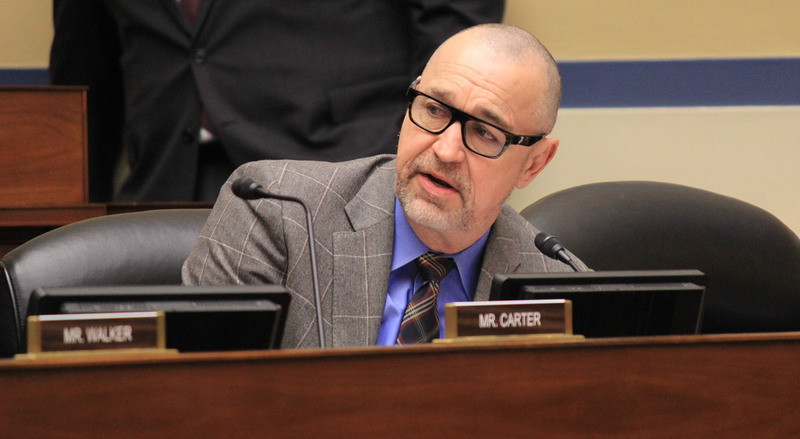 WASHINGTON – Mesa resident Grant Ronnebeck would still be alive today if the Department of Homeland Security did a better job of “detaining and deporting” criminals who are in this country illegally, Ronnebeck’s uncle told a House panel Wednesday. Grant Ronnebeck, 21, was working the overnight shift at a Mesa QuikTrip when he was shot and killed in January. Police have charged Apolinar Altamirano, an undocumented immigrant who was awaiting a deportation hearing at the time of the murder. 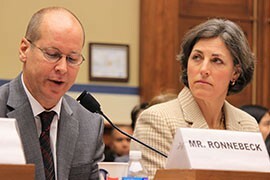 Michael Ronnebeck testified that Immigration and Customs Enforcement should be “detaining and deporting” criminals like Altamirano, rather than releasing them. 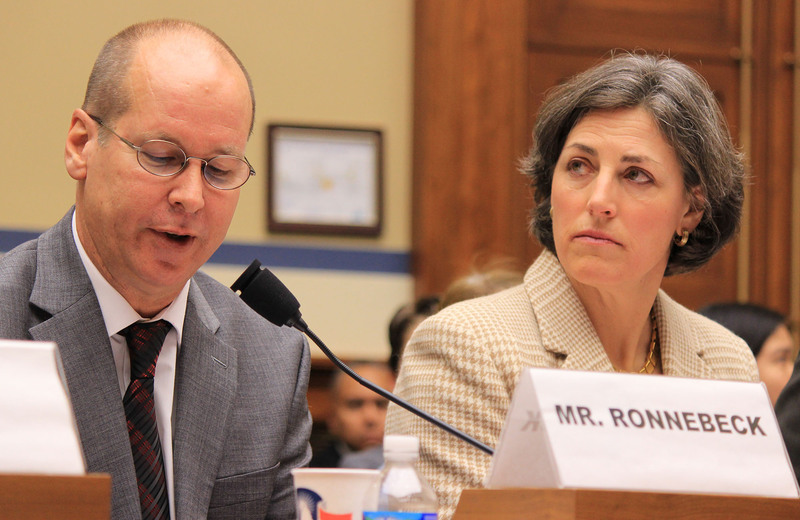 “ICE should be doing its job for the American people with the American people’s safety and security first and foremost in mind,” Ronnebeck said at a joint hearing of two House Oversight and Government Reform subcommittees. Ronnebeck said Altamirano was arrested with two others in 2012 in connection with the kidnapping and sexual assault of a woman and burglary of her apartment. He testified that Altamirano pleaded guilty to burglary charge and was turned over to ICE, but was released on bond to await a deportation hearing. “If he had remained in their custody and had been deported, this wouldn’t have happened,” Ronnebeck said at the hearing on DHS procedures for detention and release of undocumented immigrants. Rep. Matt Salmon, R-Mesa, who was Grant Ronnebeck’s congressman, said at the hearing that many of the undocumented immigrants arrested in Maricopa County had been in ICE hands before, according to numbers from the sheriff’s office. “I believe there’s simply no excuse for ICE to be releasing individuals like this back out onto our streets to endanger and kill hard-working Americans,” Salmon said. The hearing came on the eve of a possible shutdown of DHS, which is scheduled to run out of money Friday. Congress has been unable to pass a new budget for the agency, as lawmakers squabble over whether the budget should fund President Barack Obama’s executive orders on immigration that would shield more than 4 million immigrants from deportation. Lawmakers at the hearing wasted no time before turning the conversation to the DHS funding fight. 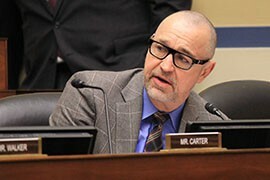 “It doesn’t make any sense to criticize the administration for not enforcing our immigration laws and then threaten to shut down the very agency responsible for enforcing those laws,” Cartwright said. But Republicans on the committee said the House has passed a DHS budget that adequately funds enforcement of immigration laws, but not the president’s actions. That bill is stalled in the Senate. Rep. Jim Jordan, R-Ohio, said that lawmakers and scholars who believe that Obama’s immigration orders are unconstitutional have had their belief buttressed by a federal judge, who last week halted two major provisions of Obama’s orders. “How can Congress fund something we all believe is unconstitutional and a federal judge has said it’s unlawful? How can we do that?” Jordan asked. Committee leaders said they invited DHS Secretary Jeh Johnson to testify Wednesday, but were told he could not attend. But Rep. Stephen Lynch, D-Mass., noted that the invitation was only received by DHS late last week, not adequate notice to schedule Johnson. “It’s just ludicrous that the policies of our immigration and customs enforcement agency are that flawed that they are allowing these criminals to go free,” Ronnebeck told lawmakers. Michael Ronnebeck testifies that his slain nephew, Grant, would still be alive if not for ineffective immigration policies. Police charged an undocumented immigrant, who was free awaiting a deportation hearing, for Grant Ronnebeck's slaying. Rep. Matt Salmon, R-Mesa, introduces Michael Ronnebeck for a House subcommittee hearing on handling of undocumented immigrants. 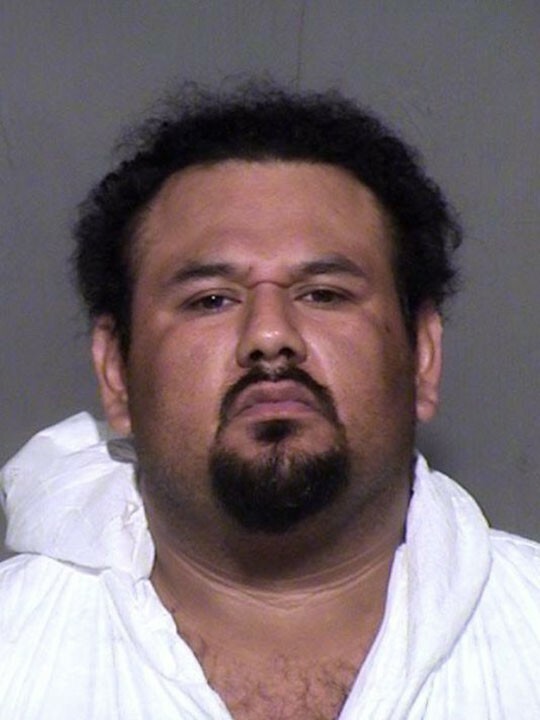 An undocumented immigrant has been charged with killing Ronnebeck's nephew, Grant, in January. 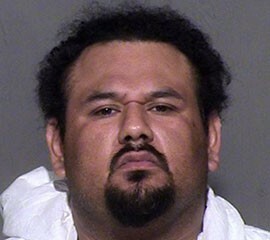 Apolinar Altamirano, accused in the shooting death of Grant Ronnebeck. Altamirano, an undocumented immigrant, was free while awaiting an immigration hearing when Ronnebeck was killed.